The human eye is one of the more complex organs in the human body. It is the organ which provides sight by refracting light rays into the eye and transmitting the information to the brain through optic nerves. The brain is then able to translate the information into an image form. The eye is an organ that gives sight. The quality of sight can vary for different species. For example, some animals can only see shapes or can only see black and white whereas others can see in colour or can see far into the distance. Learn all about the eye and how it works with contact lenses. Our vision is determined by how light passes into the eye. Rays of light can pass through the cornea and enter the eye. The pupil reacts to bright lights and can constrict and dilate accordingly. Think about the way a camera works. The human eye structure filters how much light is let in to build the best picture. This is similar to the way the human eye dilates and constricts to adjust to the light levels in your environment. 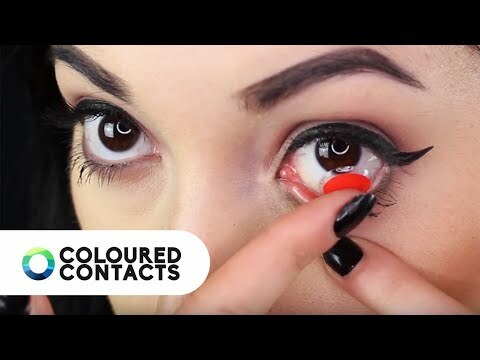 There are many different components to the eye but here are the most important eye parts and functions to know about if you plan on wearing contact lenses. Cornea – the transparent part of the front of the eye that covers the iris and the pupil. Pupil – black circular opening in the centre of the eye that can dilate and constrict to allow more or less light to enter the eye. Retina – a group of light-sensitive nerve tissue which converts images created by the eye along the optic nerve and to the brain. Iris – tissue behind the cornea that can dictate the size of the pupil and therefore, the amount of light which enters the eye. The tissue is slightly pigmented, giving you your natural eye colour. Sclera – the white area of your eye which covers the cornea and acts as a protective layer. Most contact lenses cover only the iris and pupil. 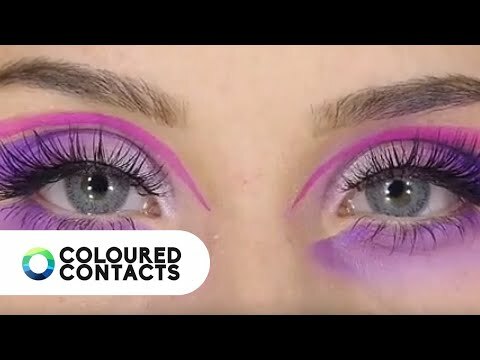 If you are wearing coloured contacts they usually cover the iris with a different colour or design to change or enhance your natural tone. 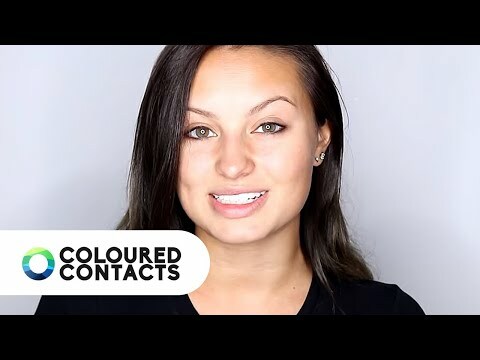 If you are buying costume contacts, you can choose blind effect lenses which cover both the iris and pupil with colour. These lenses will give you obscured vision or reduced eye function during use since the pupil is the part of the eye that lets light in, in order to build a picture. There is also a type of lens known as sclera lenses. These cover the white of your eye as well as the iris. These can be potentially damaging to your eye as the sclera is much more delicate and sensitive than other parts of the eye such as the iris and pupil. Some lenses only partially cover the sclera such as mini sclera contacts or circle lenses. These have a larger circumference to give the appearance of larger eyes. If you have eye problems it is important to consider whether your eyes are suited to contact lenses. In fact, even if you do not have vision problems you should check with your eye doctor or optometrist before wearing any type of contact lenses. As you can see there are many parts of the human eye and many factors to consider when deciding if you would like to try contact lenses. As one of the most complex organs in the human body, it is interesting to see how the human eye works and provides us with a range of sight functions such as distance and colour. Learn about how your eye functions and how contact lenses work with your eye. Explore everything about the eye, including a glossary of eye parts.